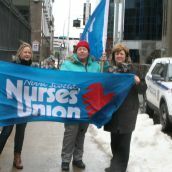 K'JIPUKTUK, HALIFAX - The nurses who work for Capital Health are in a big fight, and Joan Jessome, President of the Nova Scotia Government and General Employees Union (NSGEU), knows it. She appreciates all the help she gets. And there has been lots of support, from individuals and from other unions. "Yesterday a small little local of just four people, they came down, introduced themselves to the nurses, and left us with two 75 dollar Tim Hortons gift cards," Jessome tells the Halifax Media Co-op. These gift cards have since been donated to a men's shelter in the North End. "So it's paying forward," says Jessome. "If we don't pay forward, if we don't stand with our sisters and brothers, we stand alone." Danny Cavanagh is the Nova Scotia President of the Canadian Union of Public Employees (CUPE). For CUPE it is no longer just a matter of solidarity with another union in a tough fight. It is estimated that essential services legislation recently introduced by the Liberal Government affects as many as 40,000 people. Quite a few of those are CUPE members. 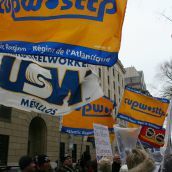 The legislation touches unionized workers who provide long term care, acute care, nurses, paramedics, ambulance dispatchers, dietary and laundry workers, people who work in nursing homes, group homes, and the list goes on. "This is really about all of us," Cavanagh tells the Halifax Media Co-op. "This is a full frontal attack . Our concern is that if they will do this to health care, they will do it to any sector." Rick Clarke, President of the Nova Scotia Federation of Labour, agrees with Cavanagh's assessment. "It's one of the most diabolical pieces of legislation I have ever seen, because of its preemptive attack on workers and their rights," says Clarke. "It designates a very high percentage of workers as essential, anywhere between 85 and 90 per cent. Arbitration is heavily tilted towards the employer, because one of the things an arbitrator must determine is the province's ability to pay." 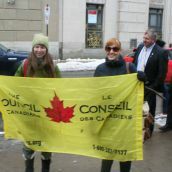 Clarke rejects the Liberal government's justification for the legislation. "We have always been able to negotiate emergency services," says Clarke. 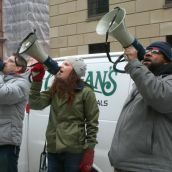 "Critical units are always well staffed [during strikes], and people on the picket line can be called in should an emergency occur. It's never been a problem." Things may be bad in Nova Scotia, but Nova Scotia is not unique, says Ken Georgetti, President of the Candian Labour Congress. 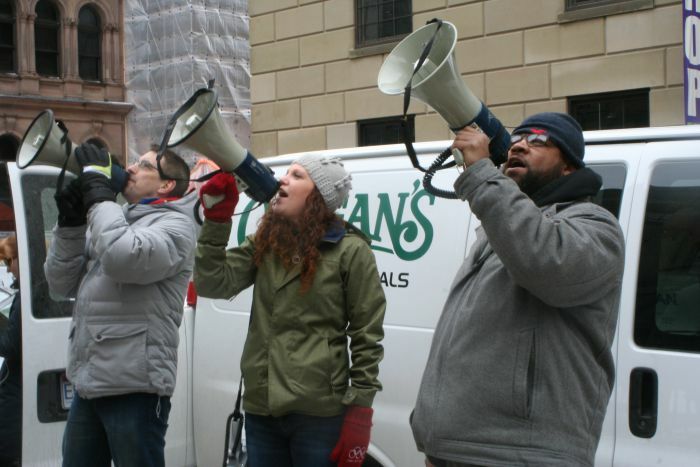 "[The legislation] takes away the motivation to settle that both parties at times need, whether it be the threat of a strike or a lock-out," Georgetti says. 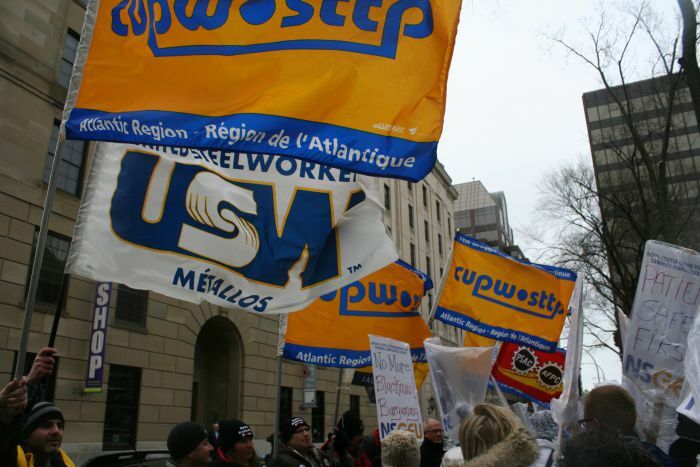 "With the designation of essential services, in our experience, this will make collective bargaining very difficult to happen, and a mutually agreed collective agreement almost impossible to reach." Tomorrow Georgetti will travel to Nova Scotia to lend his support to the fight against the essential services legislation. Unions and labour federations don't just talk about solidarity. They predict a long hot summer. 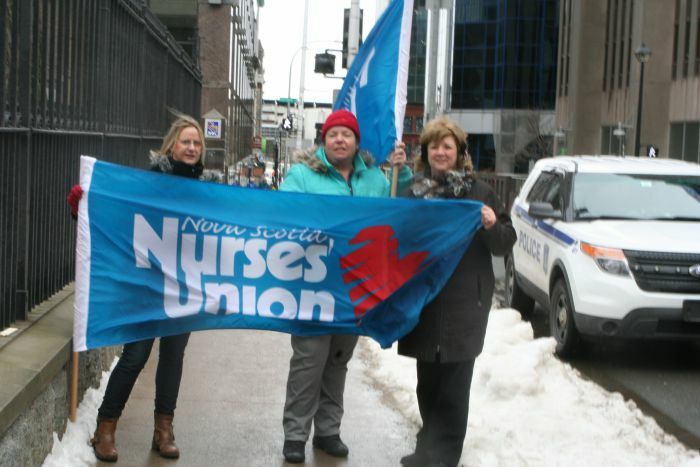 "There is nobody who values the nurses' dedication and commitment more than we do as brothers and sisters in the movement," Clarke tells the Halifax Media Co-op. "The nurses are not in the struggle alone. We anticipate there will be a legal challenge," says Clarke. "But we are not going to end with that." "There will be other things happening in the future. We don't forget," says Clarke. Joan Jessome gets the last word. 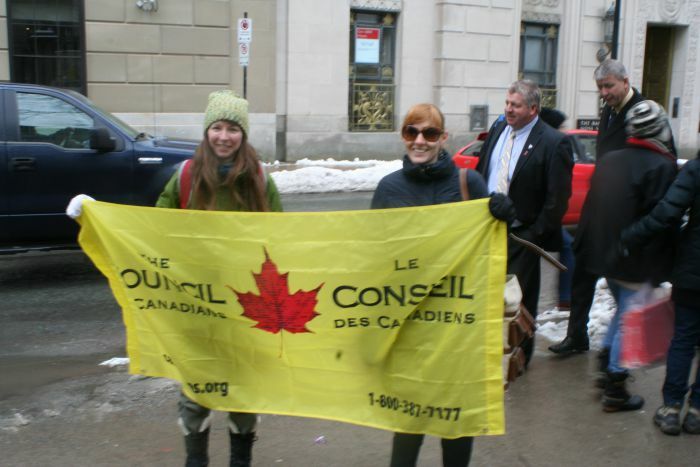 "We all as taxpayers and as union sisters and brothers have a vested interest in what just happened here," says Jessome, referring to the Liberal governnment's introduction of the new legislation. "There is strength in numbers, there is safety in numbers, we have a lot more in common than sets us apart." "It's not about one contract,..."